I still yearn for the long gone days of Flash gaming online, even if it was probably far more awful than I remember. Yahoo! 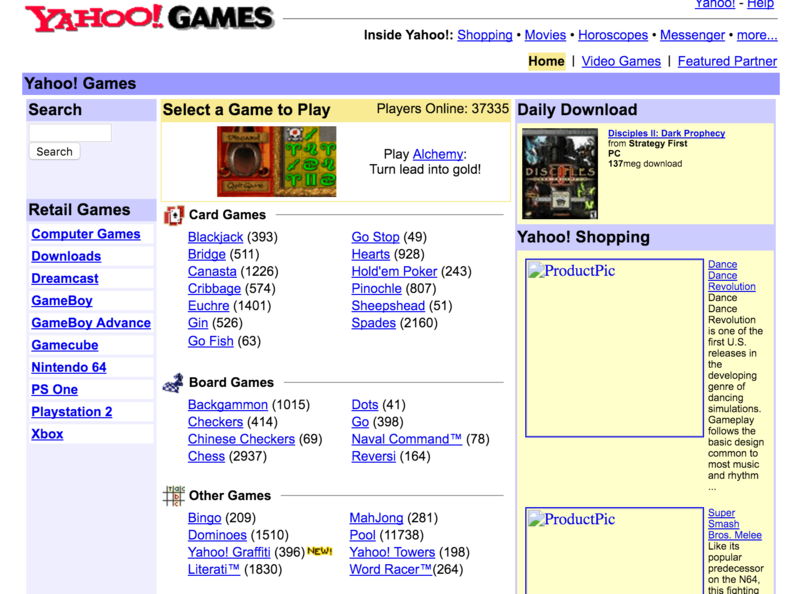 Games, which has been officially killed this week as part of Yahoo’s cutbacks, was one of the first places I discovered in the early 2000’s on my dial-up connection in New Zealand that offered a plethora of free-to-play online games. To be entirely honest, I had forgotten about its existence until I learned it was quietly killed as part of the company’s layoffs this week, which probably explains in part why it’s being shuttered. The decline of the service is no surprise, really. 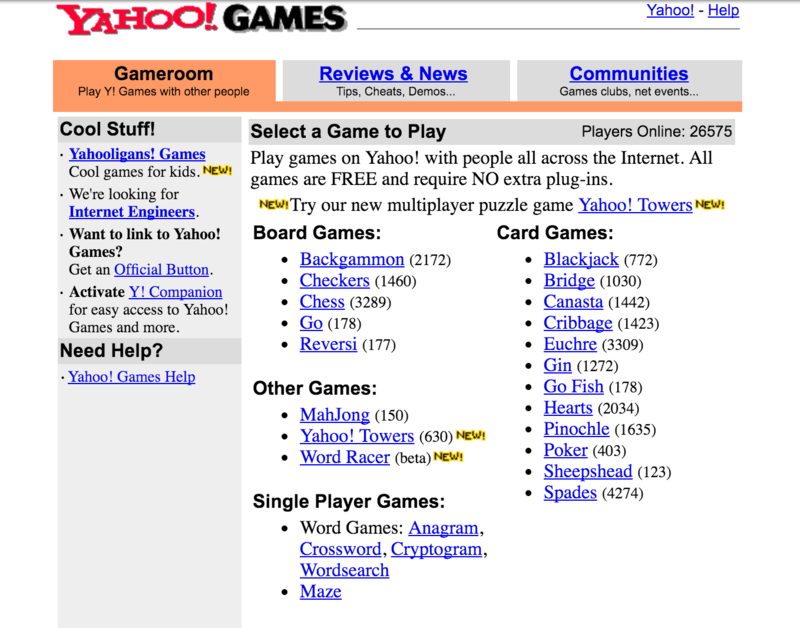 As all online flash-gaming slowly faded into irrelevance and moved toward free to play mobile apps, Yahoo eventually pivoted the site into ad-supported games in 2008. VentureBeat reported in 2008 that the site still saw more than 18 million unique monthly visitors and was rated as the number one “game portal” (remember those) with millions of players between 20 and 50 years old. As Yahoo is slowly falling apart and may even be sold, take a moment to mourn the disappearance of a piece of internet history, even if it doesn’t look the same as it did all those years ago.